The smoking ban in the state of FLorida has limited the dispensaries to how they can sell raw Marijuana, Luckily there is always a loop hole! HOLY LEMONS! The smell and the taste are AMAZING! This 2014 Cannabis Cup for best Hybrid blows every other Hybrid out of the water. The high was instant, I felt it right between my eyes and in my chest. Uplifting and euphoric, with a body numbing relaxation that is unmatched for now. I could use this strain for almost any situation as long as a slumped posture and red eyes isn’t an issue ;) 10/10 worth every penny. Super excited to get to review another strain from @curaleaf_fl. In flower form! 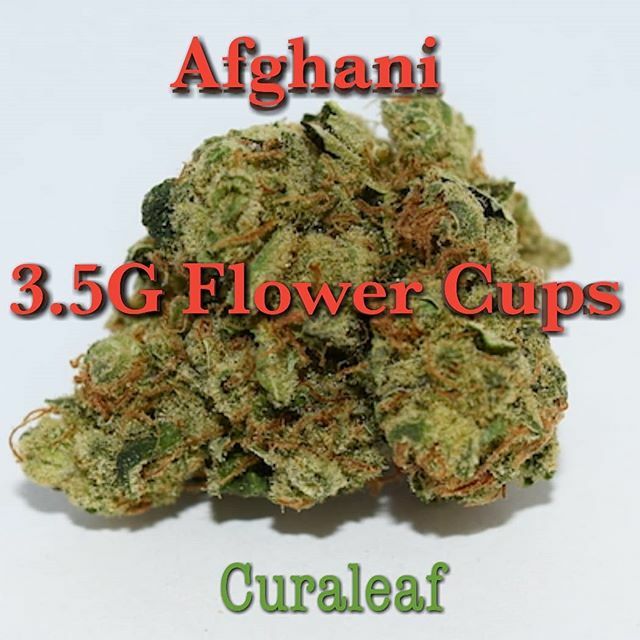 The strain of the day is Afghani, a super heavy hitting Indica prized for its anti anxiety and insomnia zapping effects. As soon as you pop the top your nose hair get singed and the room fills with a musty dank haze. The taste is a nice earthy and sweet pine flavor that rocks that taste buds. Even through a Dutch Master Palma the taste burst through. The effects took me off guard, for such a heavy Indica the initial effects were seemingly Sativa-esk. A burst of euphoria, giggles and general sense of happiness melted my Anxiety away and had me singing along to the radio. 30 minutes later my body felt like mush, no physical pain in sight. 9/10 across the board for this amazing Indica. 🔥🔥🔥🔥🔥🔥🔥🔥🔥/💨 I would recommend this strain for anyone dealing with chronic 🌿 pain , anxiety, depression, insomnia or any like condition.